Explore the Haute Route in this challenging 7-day program along Mario, an IFMGA certified guide, and discover the beautiful Swiss Alps in summer. 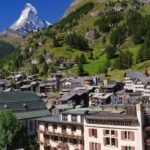 I invite you to join me in a challenging trek through the Haute Route from Verbier to Zermatt, in Switzerland! We will follow the trail of the famous skiing route, but enjoying the nice summer weather instead. Most important, we will hike along glaciers and summits known all over the world! Also, we will even have the opportunity to see the Matterhorn, one of the highest summits in the Alps! 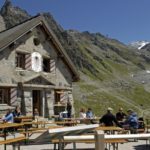 Besides, we will enjoy the view of the Grand Combin Massif, Dent Blanche, Pigne D’Arolla, Bishorn, Weisshorn, and others. 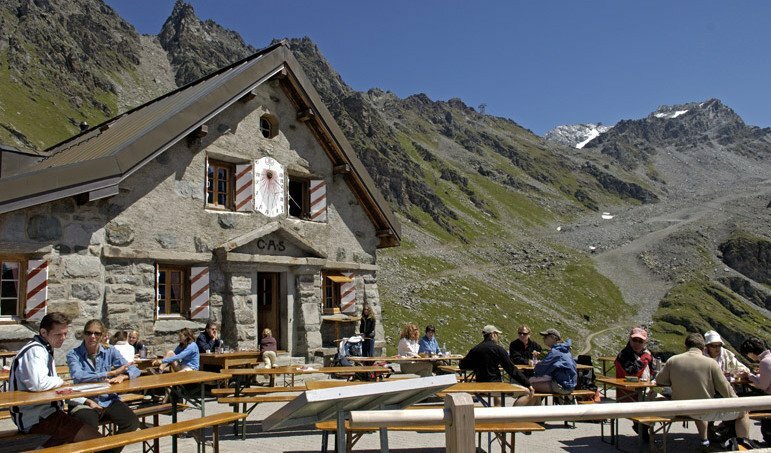 We will begin our hike in Verbier, a village located in the canton of Valais, south-western Switzerland. It’s a popular ski area and holiday resort. It’s well known as one of the top off piste resorts in the world. But now, we’re going to visit this beautiful city in summer! 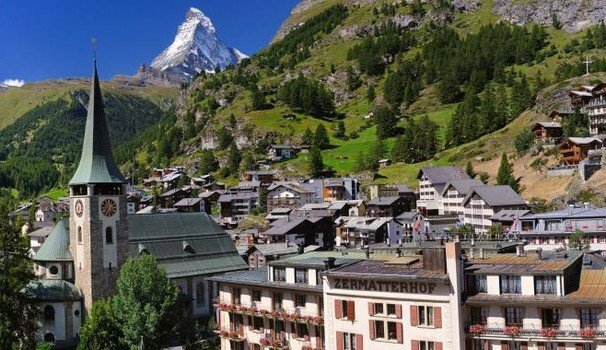 And after six amazing days of trekking along huts and villages, our Haute Route will end with a deliciousy dinner and a well-deserved rest in the Swiss city of Zermatt. We will spend a night there and get back on the seventh day. So if you are interested in this fantastic hike along the Haute Route, contact me and I’ll give you more details! We can plan it together and spend 7 amazing days next summer! Also, I offer a great 8-day rock climbing program in Kalymnos, Greece. Check it out! Organization and assistance with the trip preparation. I will send you a list with the required material, equipment and clothing for the expedition upon registration. You can also contact me if you need to rent or buy any equipment. I strongly recommend you to have a Personal Travel Insurance, which should cover flight cancellation, early departure, assistance during travel, baggage loss, etc. I can help you with this upon request. The itinerary is described as a guidance. I may change it depending on the conditions. All that is not to be considered as my professional guidance is made in collaboration with authorized agencies. My name is Elisabetta but everyone calls me Betty. I'm Italian but based in Lugano Ticino, in the Italian speaking part of Switzerland. I graduated in Environmental Science. Besides Italian, which is my native language, I also speak English and German. I felt in love with the mountains as a child, during my first experience in the snow and tree climbing in my Grandpa's garden. Now many years have gone by, but my passion is still as strong! I've been to Patagonia (Hielo Continental Sur), Tanzania (Kilimanjaro 5985m), Nepal (Khumbu Valley), Bulgaria (Rodope), Canada (Quebec's Parks), Morocco (Toubkal 4167m), Spain (Sierra Nevada Mulhacen 3479m), Ireland (Carrantuohill 1.39m & Kerry Ring), Norway (Tromso), Mt. Elbrus (5642m) so far…. Since 2010 I’m an UIMLA Mountain Leader now joint to the Swiss organization ASAM and Nordic Walking instructor. 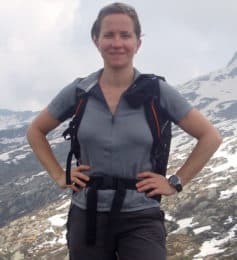 I propose daily and weekly hiking tours between Como (Italy) and Lugano (Switzerland) and in the central part of the Alps from San Gottardo (CH) to Stelvio pass. Especially in Graübunden – Engadin (CH) and Valtellina (I). No matter the season, any time of the year is good for hiking and exploring, so let’s do it together!! !